2014 is a good year to be vegan. There are a lot of good things happening and a lot of new things to try. Scrummy Box is something new I tried this year. 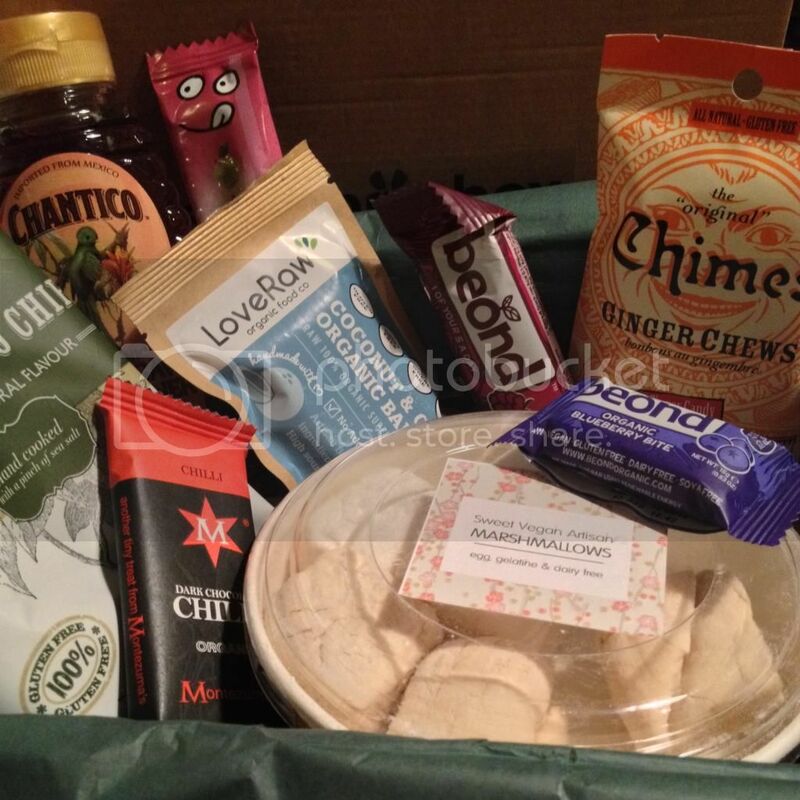 Scrummy Box is similar to The Vegan Kind, in that you receive a number of tasty vegan snacks each month - although you buy the box each month rather than subscribing. 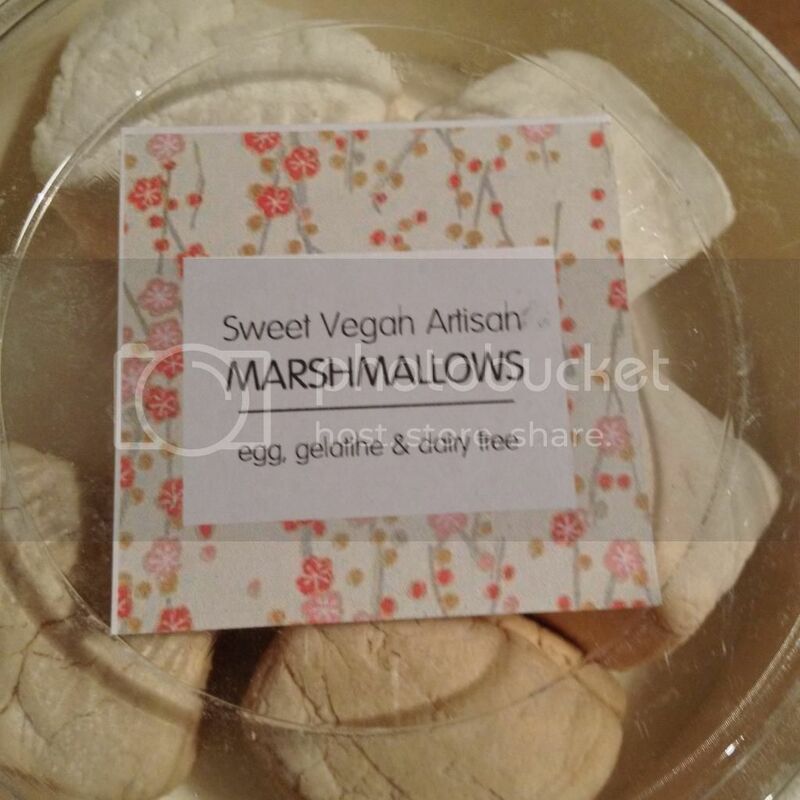 I've followed them on Facebook for a while but never purchased as I already subscribe to The Vegan Kind boxes. However, I saw an offer pop up for a Mystery Box, which would be made up of a random selection of items that had been in previous boxes. 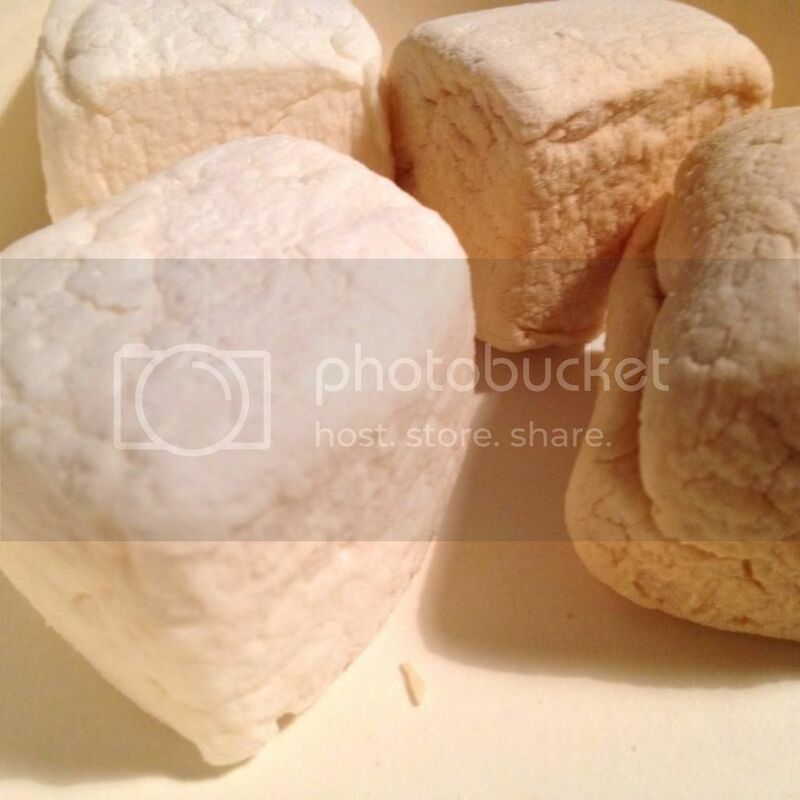 I thought this might be a nice insight into the type of products that Scrummy Box send out. I don't have individual photos for all the products... The agave syrup is definitely cinnamony! 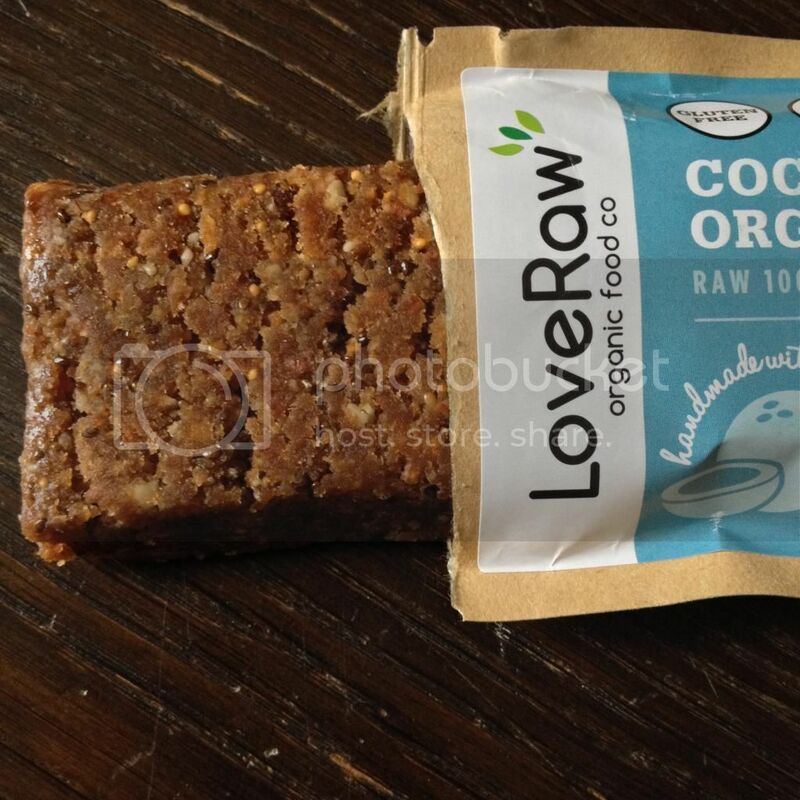 I used this in some overnight oats, and also in a nectarine buckle cake, and the cinnamon really shone through. The sweet potato chips were like other sweet potato crisps I've had before - which is good when that's what you're in the mood for. As for the chilli chocolate, I can't seem to get my head around that flavour. As ever, the Beond bars were very tasty - I don't think I've tried a flavour I don't like yet. 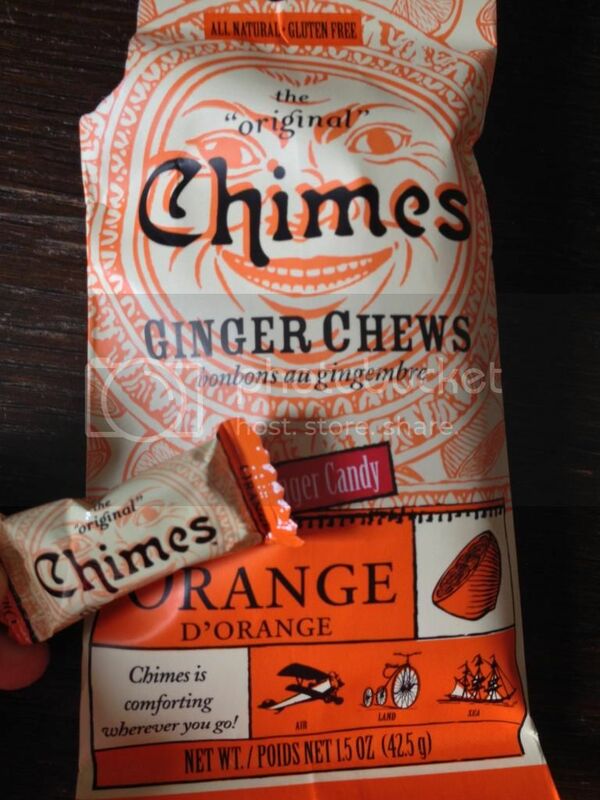 At first glance, I didn't think I would like the Chimes ginger chews. I like ginger but I find it can be a bit too fiery for me sometimes, and I thought that these sweets would be one of those times. I was pleasantly surprised. the ginger and orange combo was a strange one at first but the flavours really complimented each other and I polished off the whole bag much quicker than I probably should have done!